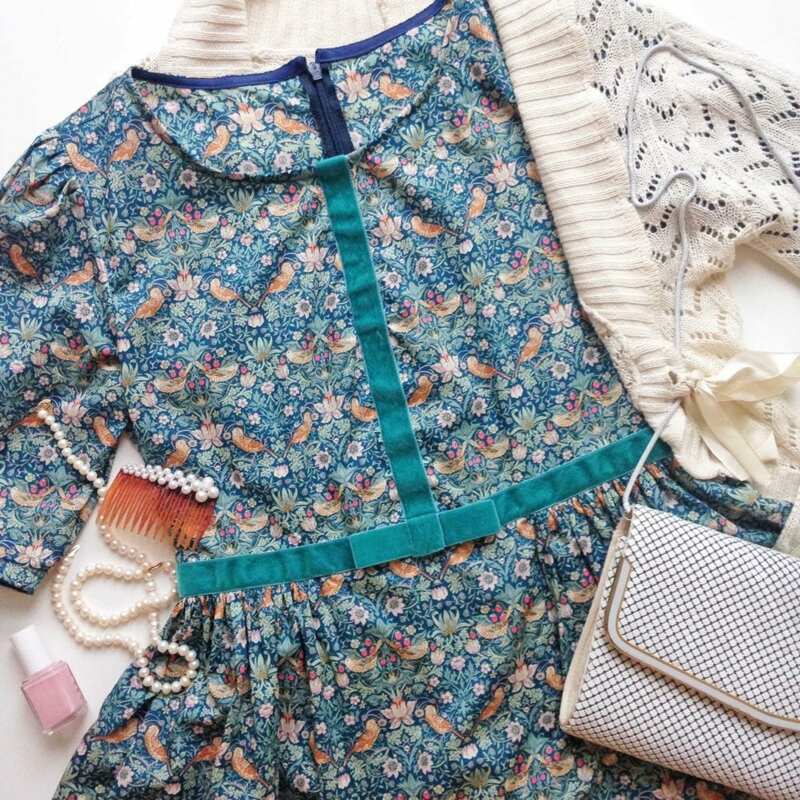 Laura from the office has made this Gorgeous Liberty Dress. 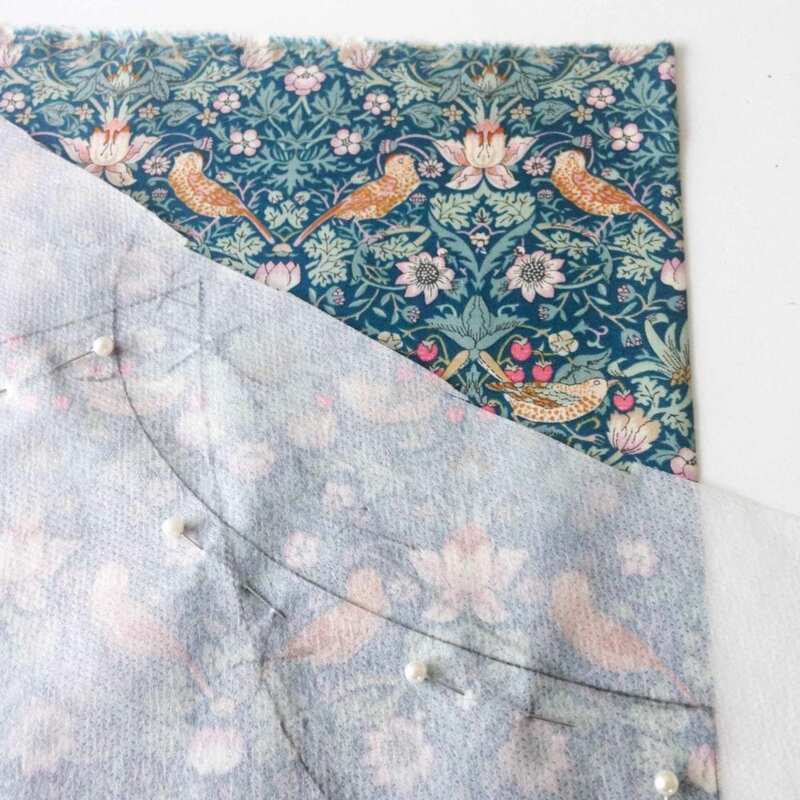 She’s used the Strawberry Thief fabric from the new 40th classics anniversary collection. It’s the same fabric as Annie’s dress last week. 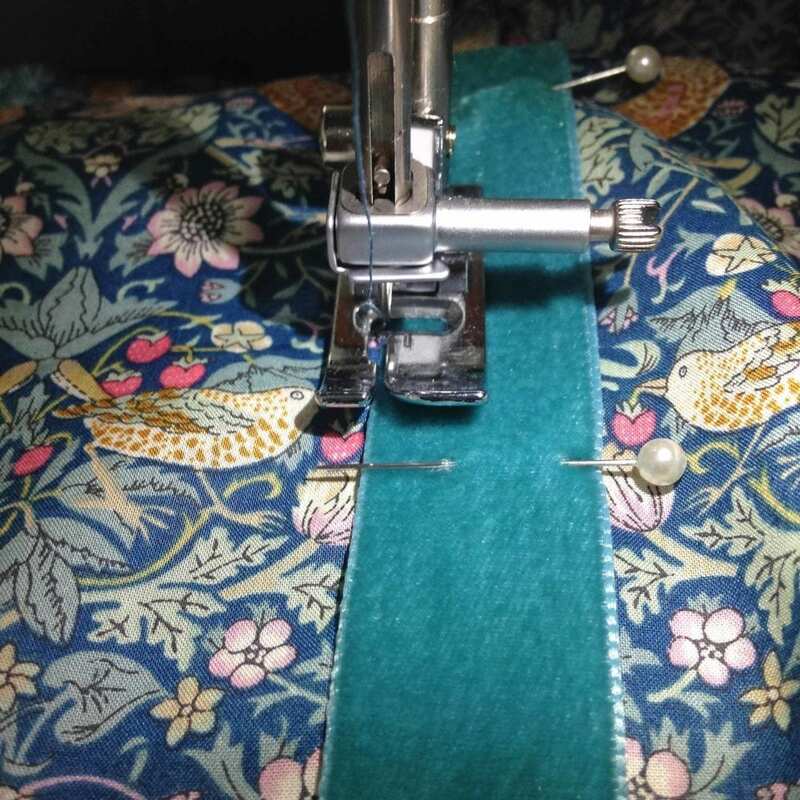 Both are really cute and work really well in this fabric. I asked Laura about the sewing project. She said “I fell in love with the green, teal and coral colours of this new Strawberry Thief print and just knew it would make a lovely dress! But what kind of dress, I wondered… It had to be a something simple that didn’t take away from the detailed print but I also didn’t want something completely plain. Such tough decisions! 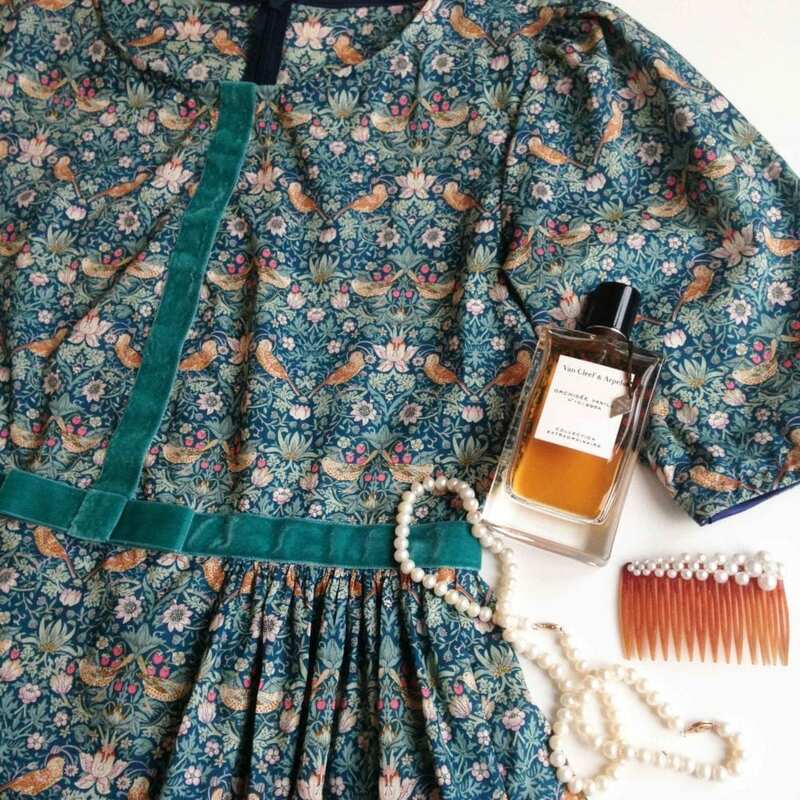 On Instagram I follow lots of vintage clothing sellers (and admittedly drool over all the pretty dresses without buying anything on the daily) and a vintage 1960s Miss Elliette dress caught my eye. It was a plain red party dress but made unique by a thick wine coloured velvet ribbon running around the waist and down the bodice with a bow in the middle. It was as if the dress was a wrapped present and I had never seen anything quite like it! 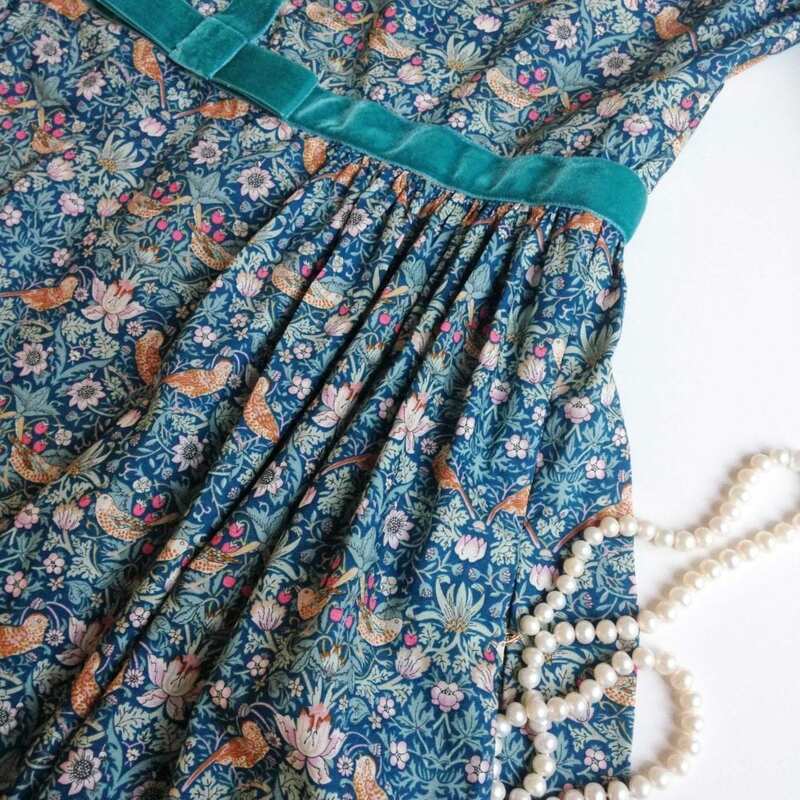 With this beautiful Miss Elliette dress in mind I sourced a teal coloured velvet ribbon that would match the Strawberry Thief fabric and committed to making my own version. 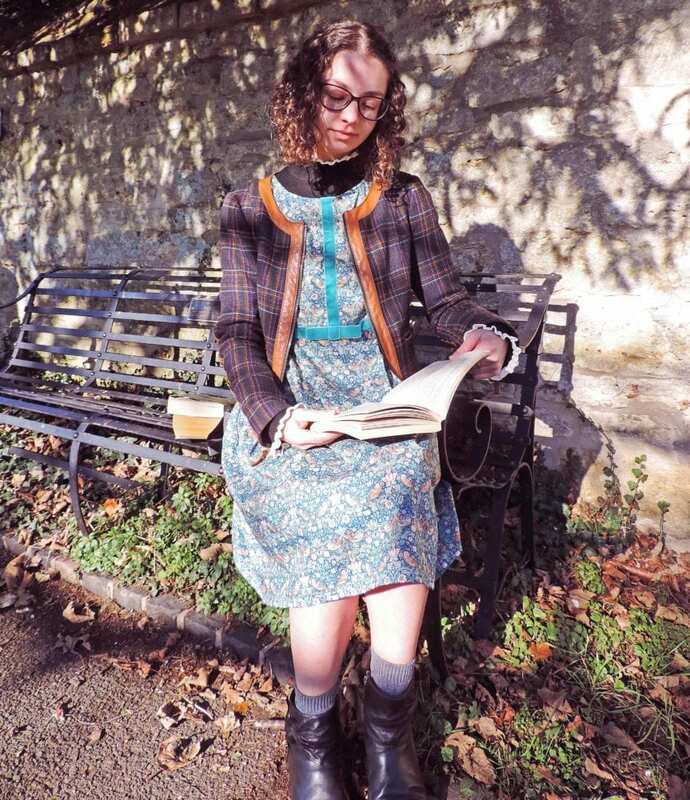 With side pockets of course- hurrah!” Laura designed her own pattern using her wonderful dress making skills. Here’s the finished velvet bow detail at the front of the dress. It’s simple yet really beautiful. Laura loves village life in rural England. 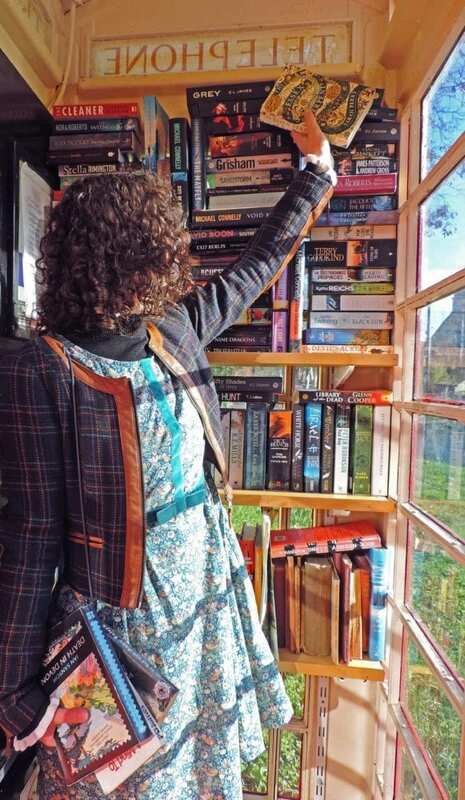 This is her at the Beckford Village Book Box – a great way to swap and exchange books.